Kryptonian Warrior: First Concept Art For Pixar's New Movie - "Brave"
Here is the first look at concept art for Pixar’s 13th feature-length film, Brave, which has arrived online courtesy of EW’s Inside Movies. The animated fairy tale will be Pixar’s first feature to star a female protagonist, and its first film to be co-directed by a woman. 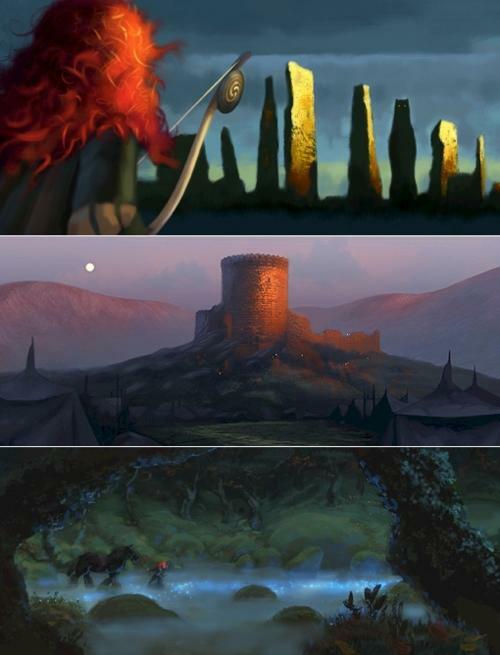 Brave is due in U.S. theaters June 22, 2012. To me 'Brave' looks like a Scottish 'The Hobbit' with dashes of 'Legend and 'The Dark Crystal'... You can just imagine that vibrant mess of red hair on a Jim Henson puppet in a live-action movie!